The Red Cross is helping the family. A family has been displaced after a two-alarm fire broke out in Winter Haven. 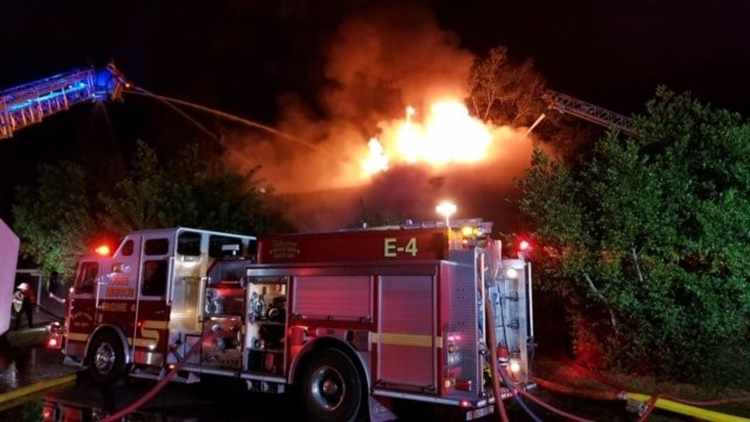 Nine fire trucks and 30 firefighters responded around 10:30 p.m. Wednesday to the fully-involved house fire near the intersection of Avenue H SE and 5th Street SE. The rapidly-spreading flames tore through the roof of the house, leaving two adults and five children without a place to live. They are currently being helped by the Red Cross. Nobody was injured -- thanks to the quick-thinking of a 12-year-old who helped wake up everyone. If you'd like to get in touch with the Red Cross, click here.